Upcoming WordPlay offerings are listed chronologically below, in order of start date. To learn more about an offering, click its title. 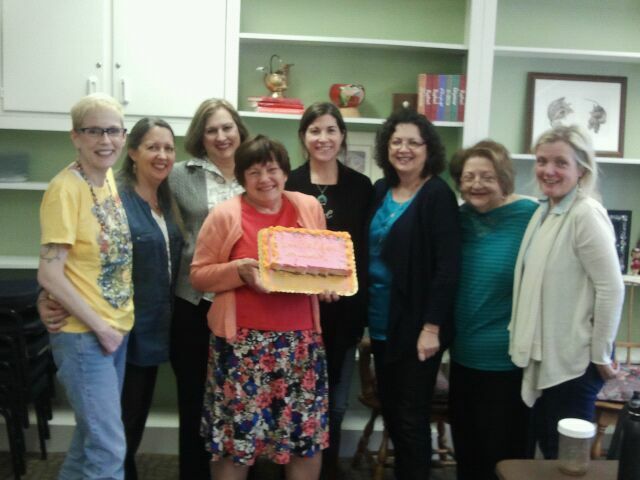 A “Gift of Memoir” class celebrates their writing accomplishments. 8:45 p.m. In the comfort of your own space! $67 for both the workshop and materials To pay with a check via mail, email info@wordplaynow.com for instructions. To pay online, please click this link to pay through PayPal. Any day! Sign up whenever you’d like and you’ll start receiving your Poetry Rocks poetry tools the next weekday. Any time! Any place! $45 To register, please click this link to pay through PayPal. For more information, or to pay via check, please email us at info@wordplaynow.com. Sunday, May 26th – Saturday, June 1st, 2019 John Campbell Folk School. Brasstown, NC 28902 $630 To register, please click this link to register through the John Campbell Folk School website. 1 Ames Ave, Chautauqua, NY 14722.
starting in September, 2019. 10:00 a.m.
12 sessions Please email us at info@wordplaynow.com to start the registration process by filling out a short “Clarity Tool” to share your writing dreams and goals and where you are in the process.